Make a bold statement and stand out in a crowd. These ear cuffs will be made to order, so please allow 3-4 weeks for delivery. 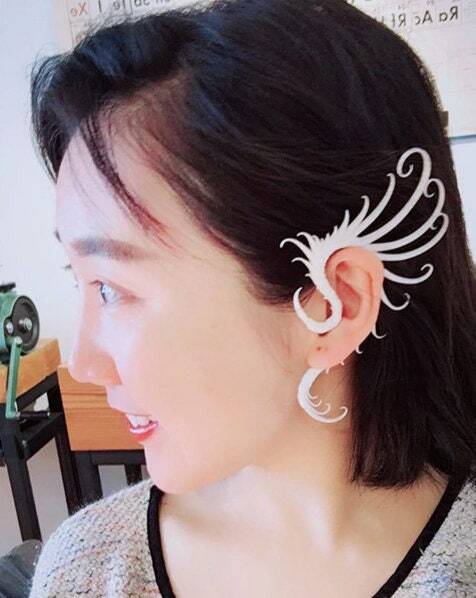 The ear cuff you receive may have slightly different proportions, a different number of "feathers", etc, but the overall design and will be the same in the color(s) of your choice. Additional colors will cost a little extra as it takes more time. DM for details. 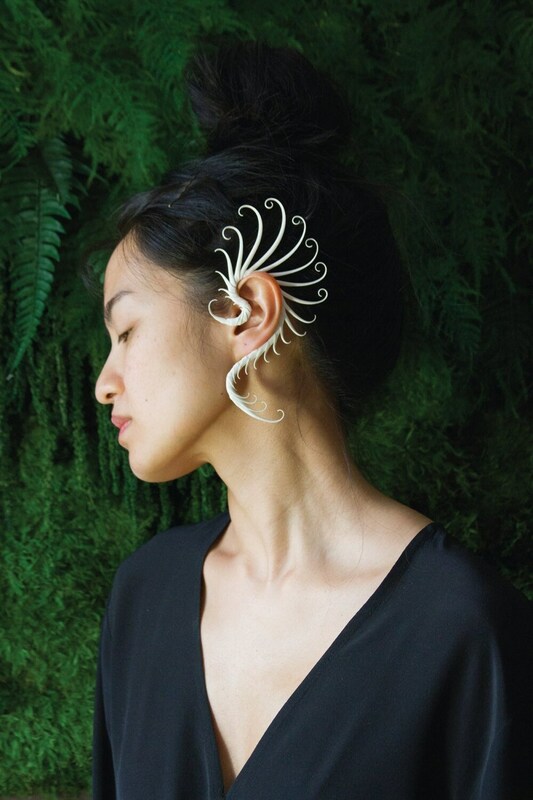 Made with repurposed materials from the electronics industry, these eye-catching earrings are inspired by the growth patterns of plants and animals. Each piece is lovingly hand made in the USA; as in the natural world, no two are exactly alike. 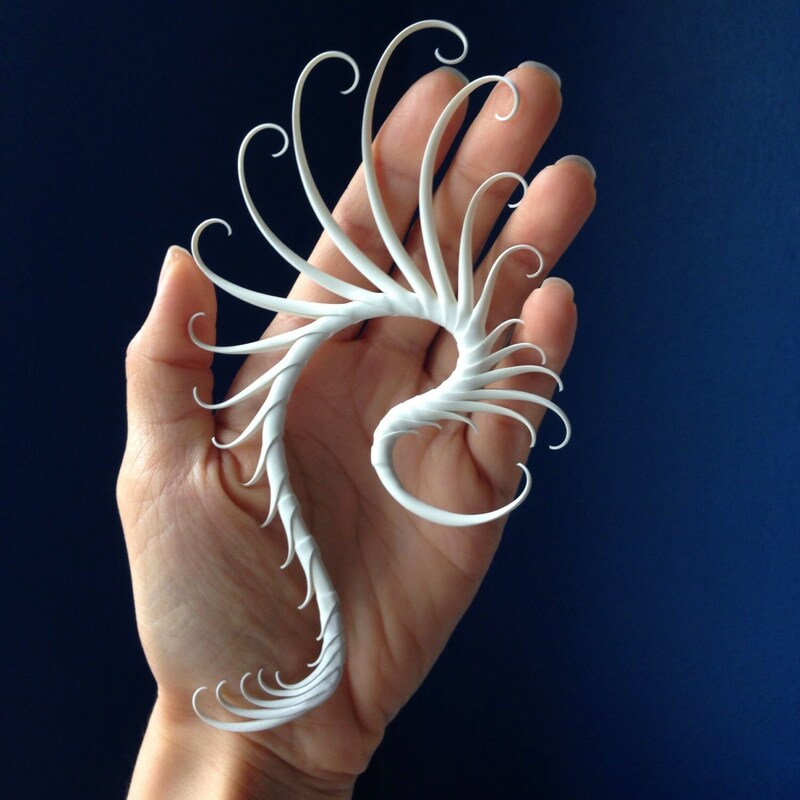 Soft, flexible synthetic rubber over an aluminum armature. 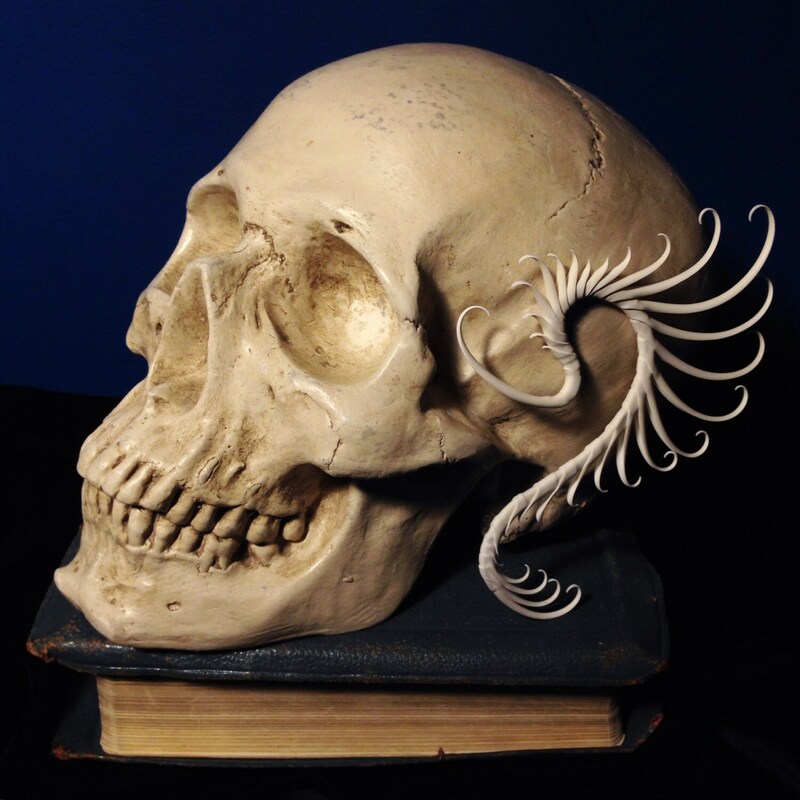 Armature can be very gently shaped around your ear for a custom fit. If you have concerns about fit, you can also send us a photo of your ear next to a ruler with your order, and we will build it around your ear shape. They are durable, yet extremely lightweight! Pieces are approximately 4-5 inches long. Hypoallergenic latex-free synthetic rubber. Shorter or longer spikes are also available upon request. 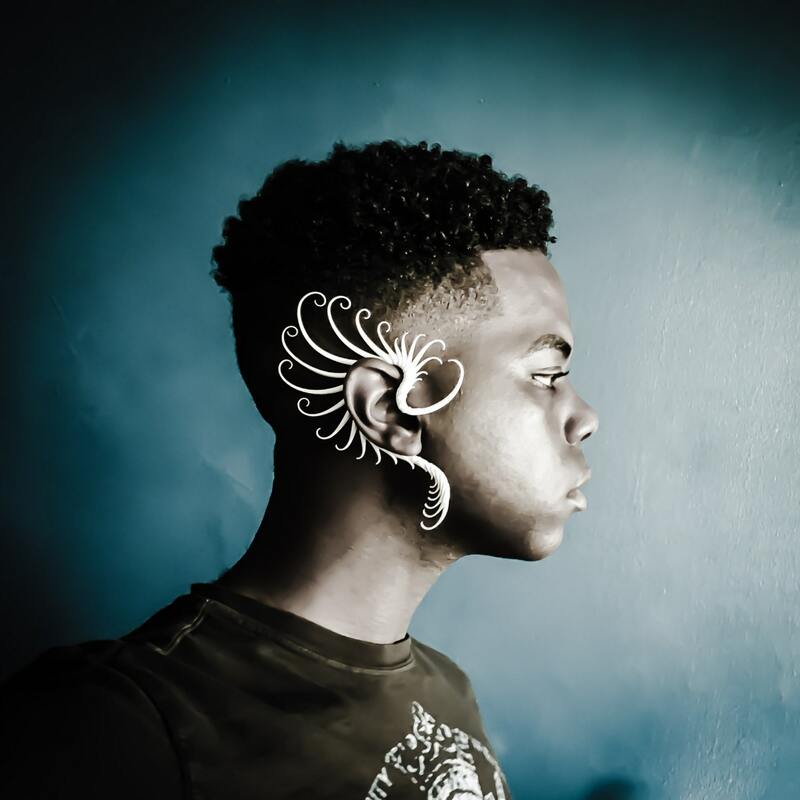 Pricing is for one single ear cuff.